Stewie is back to the Bulldogs for two weeks, and it’s lines juggling time in Montreal. It’s not exactly the sign of a confident team and coach. During the last game, Metro played on the first line. Now, according to Habs Inside/Out (yeah, I kinda have to rely on them, I can’t really go to see the practices myself…) Metro is back to the fourth line, with Pyatt and Laraque. The third line features Lats, Lapierre and White. Plekanec, Kostitsyn and Pacioretty are on the second line. So, that means it’s Travis Moen’s turn to play along Gomez and Cammalleri on the first line. 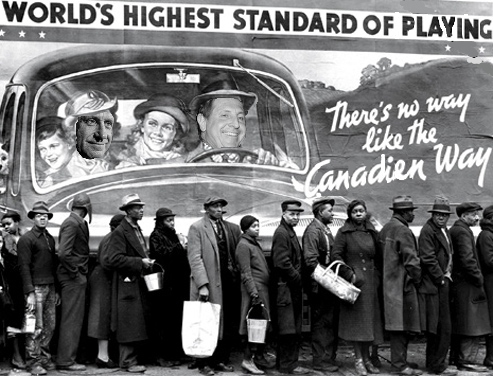 Habs fourth liners line up to play on the first line, in front of a pre-crisis habs billboard ad. It’s really a bad sign when you have to use your 4th liners to play on the first line. No offense to Metro or Moen, who are playing well this year (especially Metro), but I don’t think it’s their role to play along guys like Cammie. Even worse, I think it sends the message that you’re really desperate to find solutions. I have a lot of confidence in Martin’s coaching abilities, but this kind of moves is disturbingly reminiscent of Carbonneau. The good news for the habs is the return of O’Byrne. Like the rest of habs fans, I’m really hoping his injury didn’t completely turned him back to 2008-09 O’Byrne. Otherwise, we’re screwed. About the Caps, they’re also missing important players (Semin, Knuble), but Ovie is back. With him and Backstrom, they’re still pretty scary. I’m sorry, that’s pretty much all I have to say about this game. 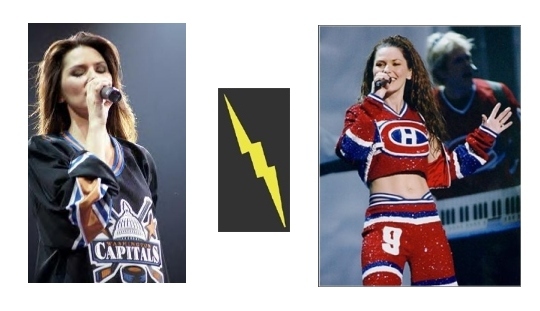 I’m not very confident about the habs right now, but if they can somehow win this one, or at least get a point (this will probably necessitate another good game from Carey), it would definitely be a welcome confidence boost. Henry himself admitted that he thought the game should be replayed. But the FIFA confirmed the result, and it’s very unlikely there will be a rematch. 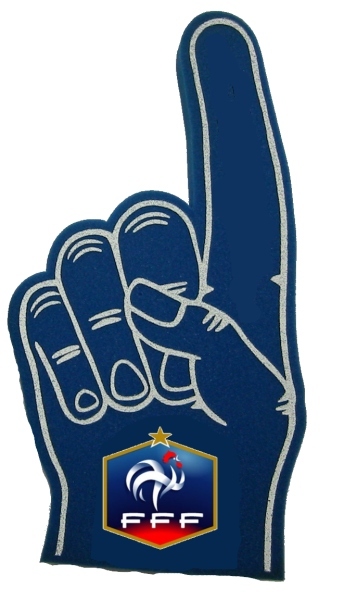 If things stay that way, I think we should just have fun with this: let’s embrace our cheaters status, and let’s have the French fans come to South Africa with big foam hands. Humor is the only way out of this embarrassment! I would LOVE to see something like this catching on.